Some Highlights Of What’s Happening In The Gospel Music Industry!! 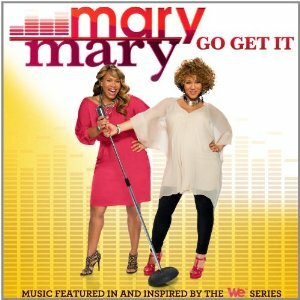 Mary Mary released their highly anticipated new project titled “Go Get It” on May 8th, but they also appeared on Good Morning America (ABC) to millions of viewers this morning . They also informed viewers that their popular reality tv series “Mary Mary” has been picked up for a 2nd season by Wetv. Congratulations to them as they continue to “Go Get It” and spread the Gospel to even more people. Let’s continue to support these ladies by picking up their new project and tuning in their reality television series Thursdays at 9pm EST on Wetv. This is the tour that you don’t want to miss! 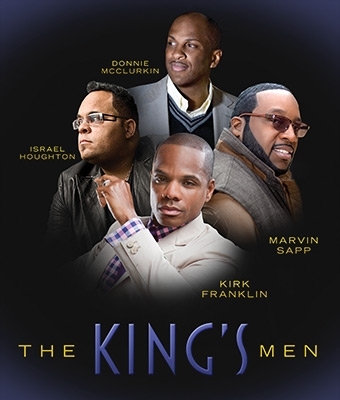 Kirk Franklin, Israel Houghton, Pastor Donnie McClurkin, and Pastor Marvin Sapp live on one stage! 4 of GOSPEL’s leading men are hitting the road in September, hitting 15 cities across the United States. Combined and individually these artist have received numerous awards and sold millions of albums worldwide. Each artist have given the GOSPEL community timeless worship and praise anthems. The idea of them all coming together on one stage…one word… ELECTRIFYING! The tour kicks off September 16th in Phoenix Arizona, and tickets go on sale May at Ticketmaster May 8th! You definitely want to be in the building for this! Gospel recording artist Deitrick Haddon in partnership with Tyscot Records, Releve Entertainment, and his own production company Manhaddon Entertainment released a new music project today titled “Deitrick Haddon Presents the Voices Of Unity: A Beautiful Soul“. The music is inspired by the motion picture “A Beautiful Soul”, which is coming to select theaters across the country on Friday May 4th, 2012. The project features one of the best voices in R&B and some of the most well known voices in Urban & Contemporary Gospel. Faith Evans, Kierra Sheard, Nikki Pots, Jor’el Quinn of 21:03, Jasion Champion, Candy West, and Canton Jones are some of the wonderful talent featured on the project. It’s definitely worth the purchase! 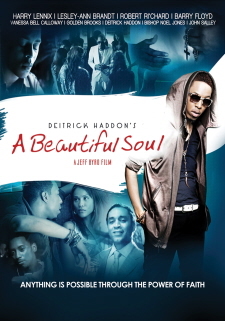 You can check in on Deitrick’s Facebook and Twitter pages for details about theaters that will be showing “A Beautiful Soul” this weekend. After the success of Deitrick’s first feature film “Blessed And Cursed“, which was a straight to DVD release that was later picked up by the Gospel Music Channel and Showtime Networks. Deitrick is continuing to blaze a trail as a Gospel recording artist starring in and producing a major film. Let’s support this effort and show up this weekend in theaters to see “A Beautiful Soul”. You are currently browsing the GOSPELflava.com BLOG blog archives for May, 2012.